So much of what we do at here Shevet Achim could not be done without the support of our amazing brothers and sisters around the world. Therefore, we consider it a great privilege when we have the opportunity to meet those of you who partner with us and share with you a bit of our daily life here in Jerusalem. Today, I had the wonderful opportunity to meet two such people: John and Catherine Howanstine from Christ Church in Maryland, USA. 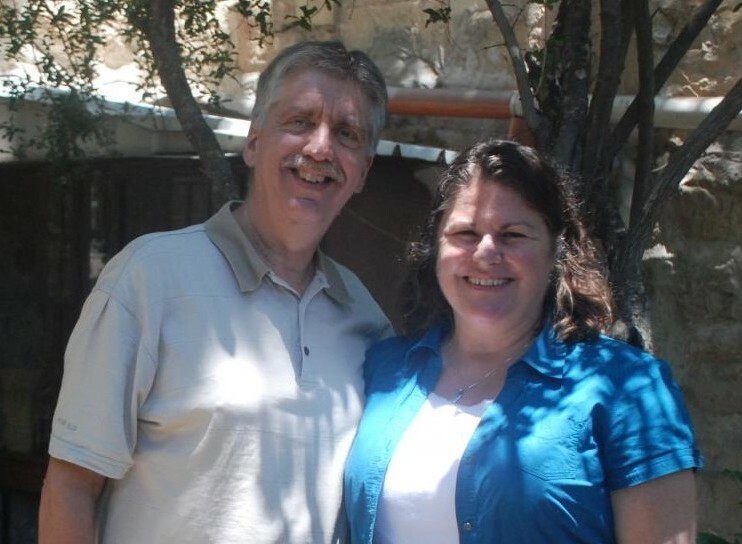 They first visited Shevet when it was just getting started in 1994. As the years passed, they remembered their visit and had decided to support a young girl named Jenna through our ministry in 2004. They also met little Hiba (see archive for her story) last year when we brought her to the VBS program they were helping to run at Christ Church in Jerusalem. This year, their parish decided to support two of our children, Monsour and Aya, during Lent. Talking with this couple was such a blessing. It is encouraging to know there are people around the world like the Howanstines that see the work God is doing through Shevet and choosing to support it. I pray their visit today blessed them as much as it blessed us.